Hampi is a temple town located in the northern region of Karnataka – India’s third largest state. Dotted with temples around the village that was an ancient capital city of the Vijayanagar Empire. This famous region with temple structures and historic ruins is a UNESCO world heritage site. Some monuments and sculptures are preserved over time and others have fallen in parts, in the famous heritage tourist site in India. This large area is also built over the banks of the famous River Tungabhadra. 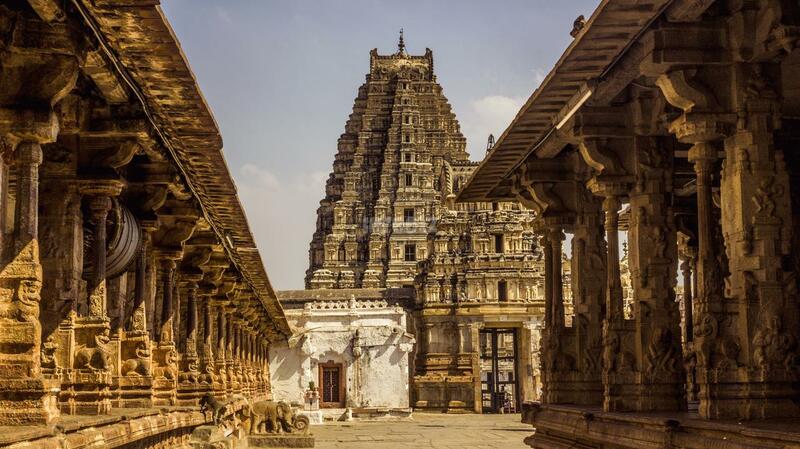 The town is popularly known by three other names locally, and is most famous for the three places here – Vitthala Temple, Hampi Bazaar, & Virupaksha Temple. 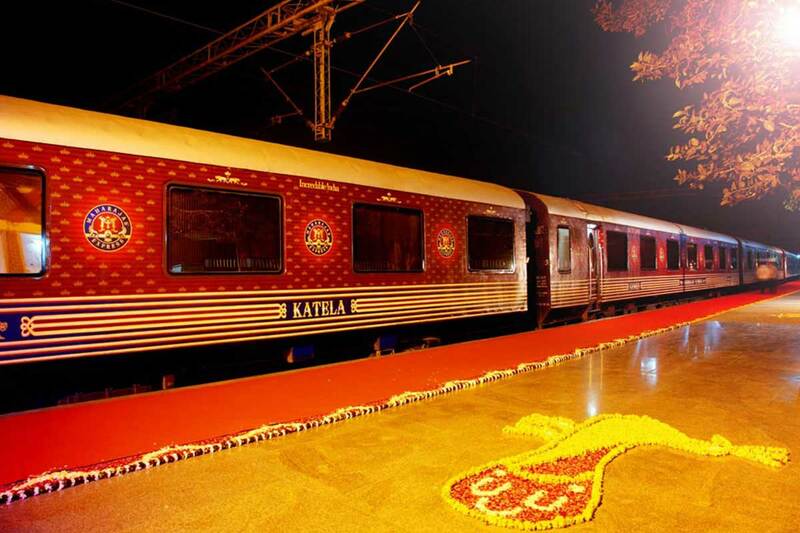 The World’s Leading Luxury Train – Maharajas Express is popular for touring the most sought after locations in various regions of India. The week long tours are specially designed for guests to see the best places while enjoying on-board luxury services of a 5 – star premium hotel during the tours. Now, the most recent itineraries – The Southern Jewels & the Southern Sojourn include this famous temple town of Hampi, Karnataka. The sightseeing includes the famous places mentioned above and many more. Most of the sculptures are carved out of stone and rock and depict ancient Dravidian – styled architecture. The stone carvings depict the culture of the ancient era in a splendid way. It makes you imagine the life, culture, and society that the people of the earlier dynasties lived in. for example, there are stone – cut carvings of elephant stables, and also a massive statue of Ganesh. One of the most famous destinations within this heritage site is the Virupaksha Temple. 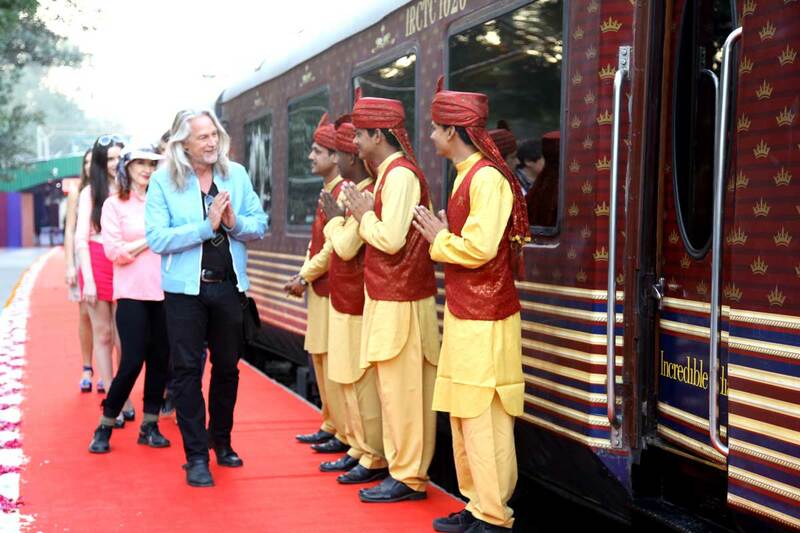 Also Read: Maharajas Express Offers Wedding on Wheels Along With a Royal Experience! There is a historical statue of a stone chariot and many domestic and international travelers crowd to see these structures. The temple complex also houses the ‘Musical Pillars Temple’ which is another famous tourist spot in India. There is an interesting history about this city that is spread across 26 square kilometers depicting the life of the city. 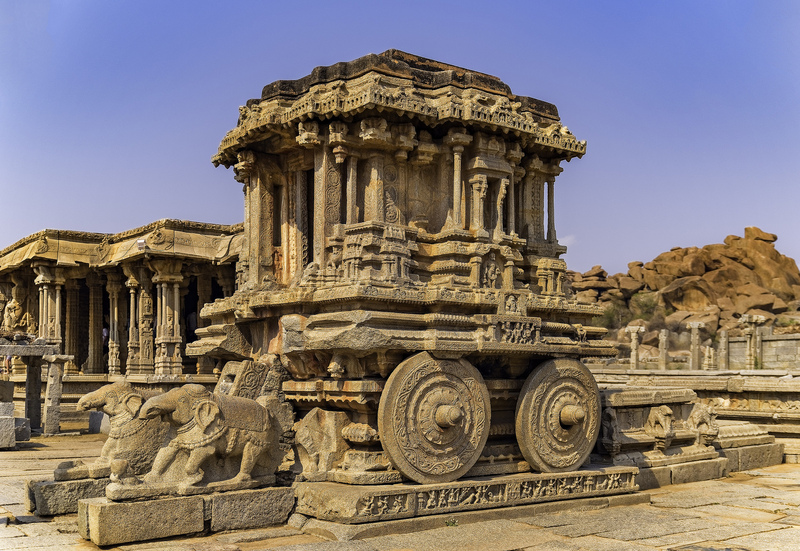 Its initial settlement is traced to the first century AD and by the mid 1500, Hampi became one of the richest cities of the world during that time. The trade center for precious stones, cotton and spices and some of these products are still available at Hampi Bazaar. The best time to visit this place is during the months of October to March when the Maharajas express operates during these months. 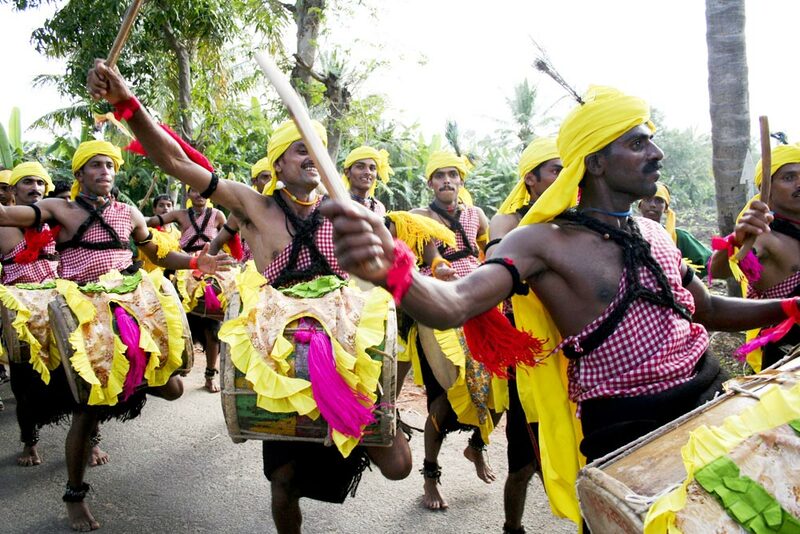 The Government of Karnataka organizes an annual cultural festival known as Hampi Festival. During this time there are lot of classical dance performances, processions, music and drama too. 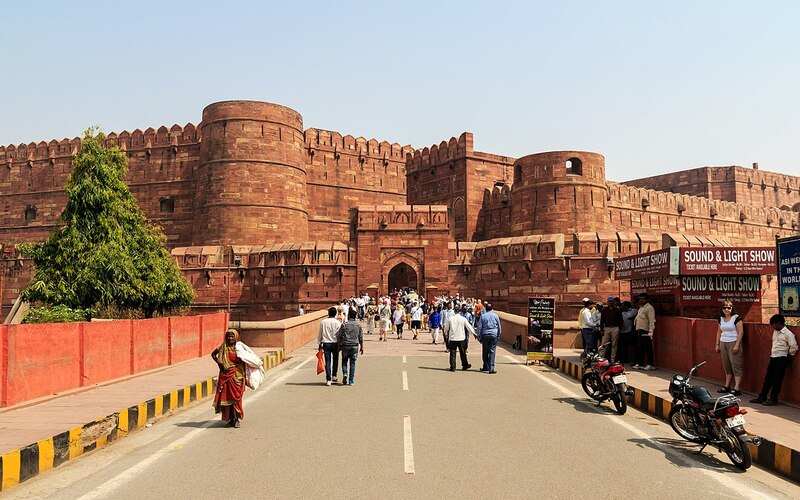 The Maharajas Express organizes luxury tours to this fascinating ancient historic place in two itineraries – Southern Jewels & Southern Splendor. Explore this UNESCO World Heritage Site for almost a whole day after a sumptuous on-board breakfast. 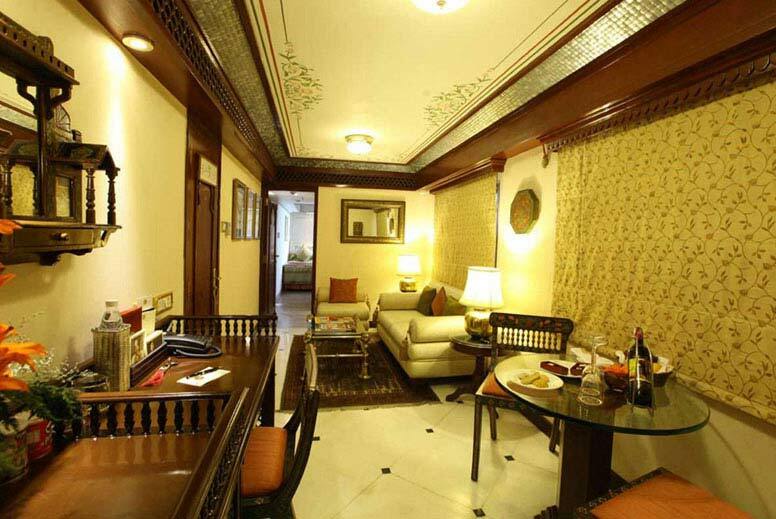 Guests then return to the luxury train to go to other amazing places including Mysore and Goa. There are various occupancies / cabins to select one that best suits your needs if you are visiting with friends or family. There are various departure dates available per schedule so that guests may select one that is suitable to you. 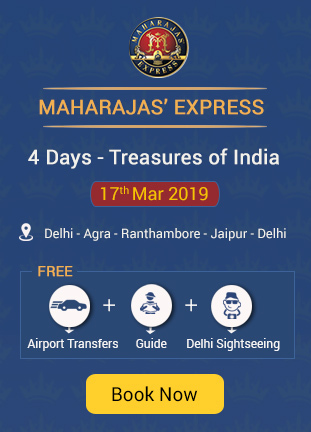 Touring one of the heritage sites in the country in the lap of sheer luxury of the finest luxury train – Maharajas Express is a must – have experience you must have in your life. 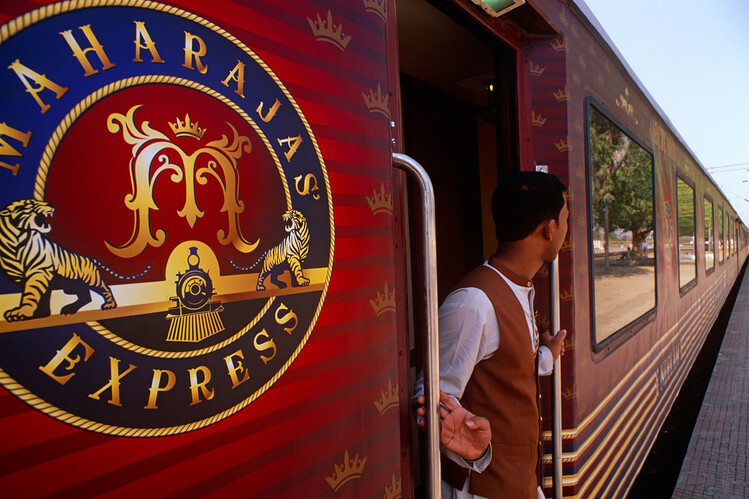 Maharajas Express Offers Wedding on Wheels Along With a Royal Experience!